Utah Barns offers metal Carports built from the same strong materials as our barns, so you know your vehicle will be protected. We offer three styles (regular, A-frame, and Side Entry) and two roof types. Regular Style Carports - Our regular style carports are affordable and effective. Their industrious design allows us to use less materials while maintaining a structurally sound building. A-Frame Style Carports - A-frame carports are stylish alternative to their regular counterparts. These great metal buildings hold up to the elements with their galvanized steel framing. 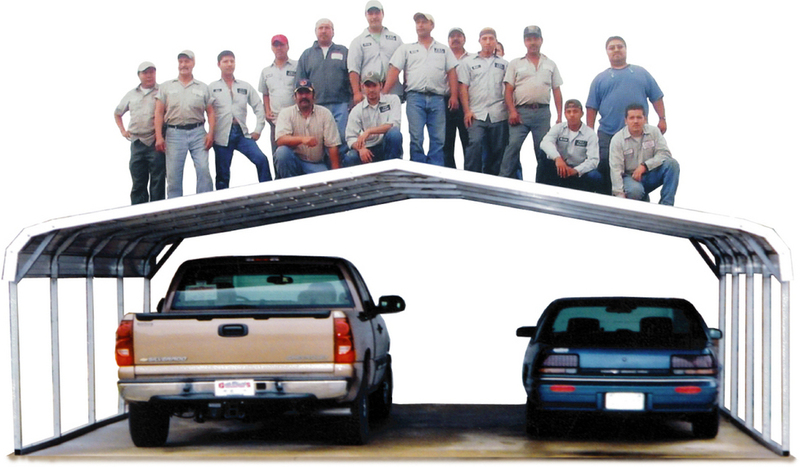 A-Frame carports can be built with horizontal or vertical roofs. Vertical Roof - A vertical roof adds strength and stability and allows water and debris to run off the sides more easily. This is why we recommend a Vertical Roof. Only available on A-frames. Side Entry Carports - Adding entries to the side of a carport allows for vehicle and spacing flexibility. Side entry carports look sharp and fit most settings. * these prices are for 12'x21' carports. Prices may vary by area and are subject to change without notice.